The following Incident Report was written by (1) a community member in Hpapun District who has been trained by KHRG to monitor local human rights conditions. It is presented below translated exactly as originally written, save for minor edits for clarity and security. This report was received in February 2018 along with other information from Hpapun District, including three other incident reports, six interviews, one situation update and 20 photographs. A KHRG researcher heard about this incident when he was collecting data in the Lay Poh Hta village tract, Dwe Lo Township. He witnessed villagers in L--- village going house by house to collect money. A local villager told him that the BGF Battalion # 1014 had ordered the local communities to give them money because they refused to serve as porters. A villager from L---, Saw S---, shared this information. He experienced this incident first hand. Describe the Incident in complete detail. On November 17th 2017, a KHRG researcher collected information on an instance of forced portering and extortion in Hpapun District that happened in Htee Th’Daw Hta and Meh P’Lee village tracts, Bu Tho Township and Lay Poh Hta village tract, Dwe Lo Township. On October 15th 2017, tension between the BGF and the Democratic Karen Buddhist Army (DKBA) splinter group occurred in Ko La Wa Loo hill, Meh Th’Waw village, Hlaingbwe Township, Hpa-an District [near the boundary line between Hpa-an and Hpapun Districts]. Therefore, the BGF Battalion #1014 based in Hpapun District started forcing local people to serve as porters near the front line. Villagers were supposed to carry loads, weapons and rations for BGF soldiers. This order came from the Battalion Commander Lt. Colonel Saw Maung Chit and the officer in charge Saw Tin Win. Saw S--- said that the BGF Battalion #1014 ordered ten people from each village in Bu Tho and Dwe Lo townships to serve as porters. When villagers refused to serve as porters on the front line, the BGF ordered each village that did not provide forced porters to give them 180,000 kyat (US $ 112) instead. Local villagers did not want to be forced porters for the BGF nor did they want to pay money to the BGF because of the security risks and the financial burden it posed. However, the BGF commander told them that they have to pick one of the two options. The threats of forced labour and repeated extortions are causing perpetual fear and insecurity for civilian populations. For this community, 180,000 kyat (US $ 112) represented a large sum: they would need to sell off a pig or a cow that they have been raising for years, upon which their livelihoods depended. To respond to the extortion of BGF Battalion #1014, local community members collected money by going house to house. K--- and H--- villages, in Htee Th’Daw Hta village tract, Bu Tho Township, were ordered to send one porter each. To avoid serving as forced porters, the local communities paid 180,000 kyat because they did not want to serve as porters for the BGF. Similarly, the BGF ordered Z--- and A--- villages to send two people from each village. 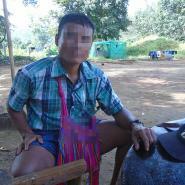 When local villagers were reluctant to go with the BGF soldiers, they also chose to pay 180,000 kyat (US $ 112). In this case, most local people refused to serve as forced porters for the BGF because of the risk of going to the frontline. Even though they faced financial burdens, they tried to provide the full amount requested by the BGF. Instances of forced portering are still prevalent in Southeast Myanmar, despite the signature of the Nationwide Ceasefire Agreement (NCA), which prohibits “slavery and forced labor”. According to KHRG analysis, the BGF, Tatmadaw, and DKBA (splinter) were responsible for forced labour requests during the peace process. Throughout Southeast Myanmar, local communities hoped that the NCA would not only end the violence, but also put an end to the human rights violations perpetrated on civilian populations. Saw S---, a villager from L---, gave us permission to publish this information.